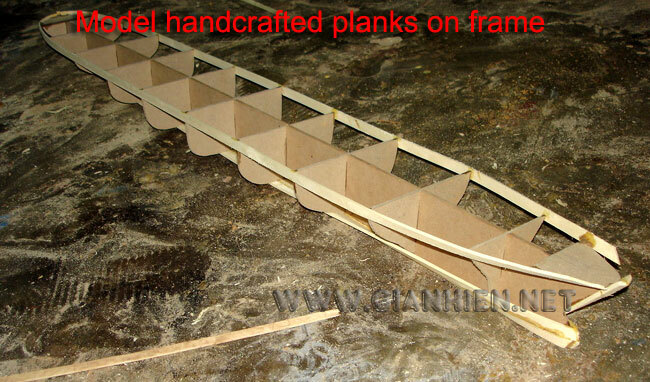 Our model is hand-crafted from wood with planks on frame construction and then painted with colors like the original real boat. 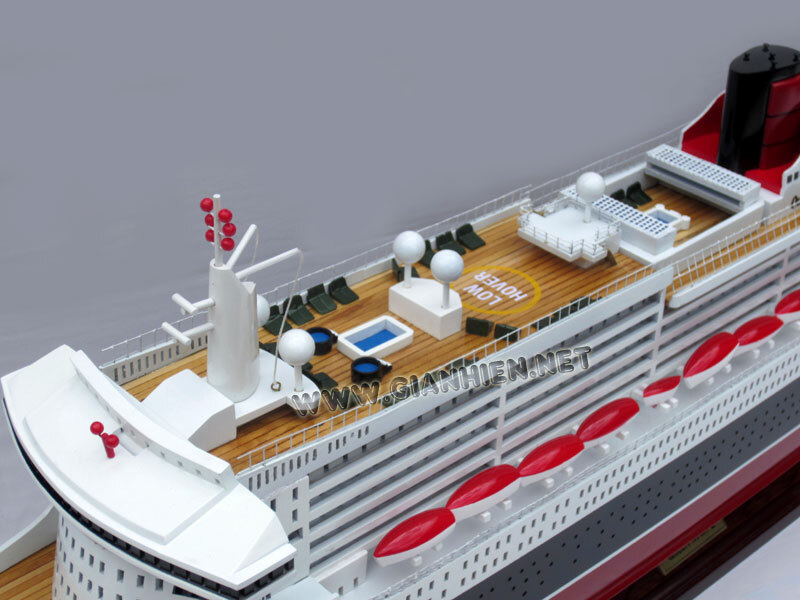 Model is ready for display. 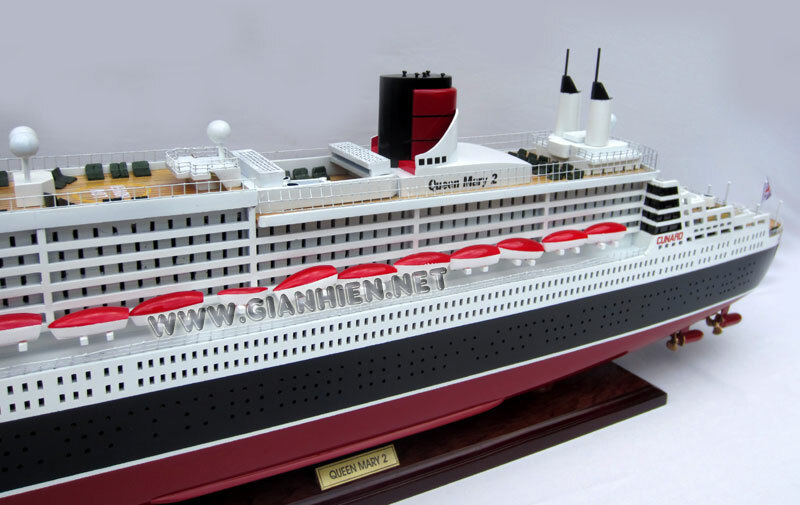 The RMS Queen Mary 2 (QM2) is a Cunard Line ocean liner named after the earlier Cunard liner Queen Mary, which was in turn named after Mary of Teck. 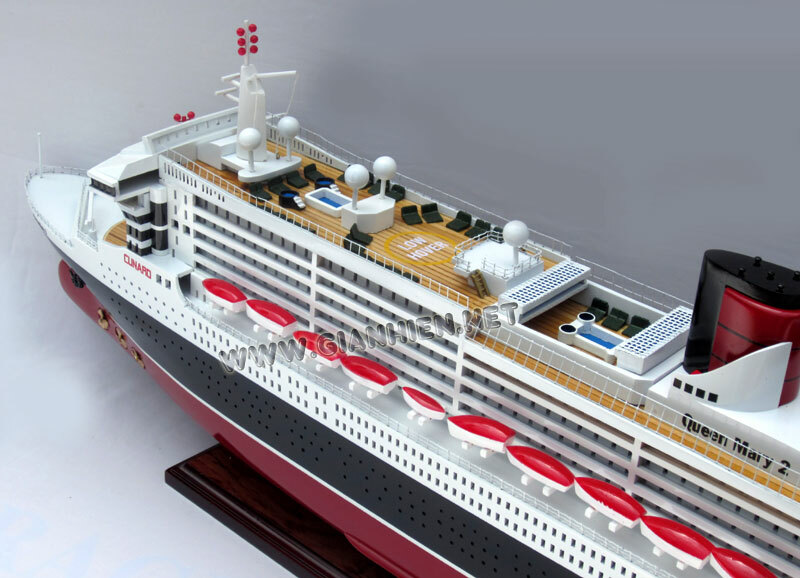 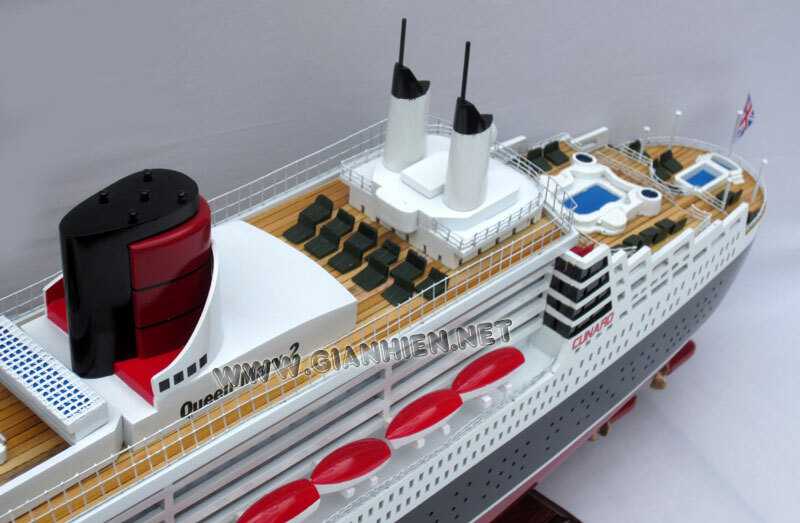 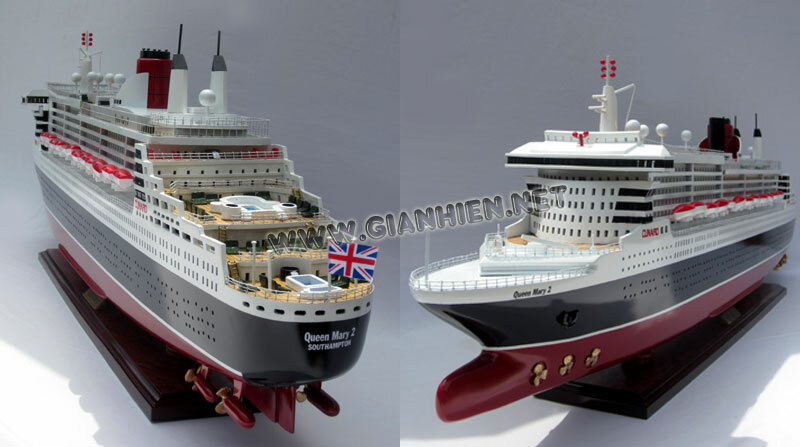 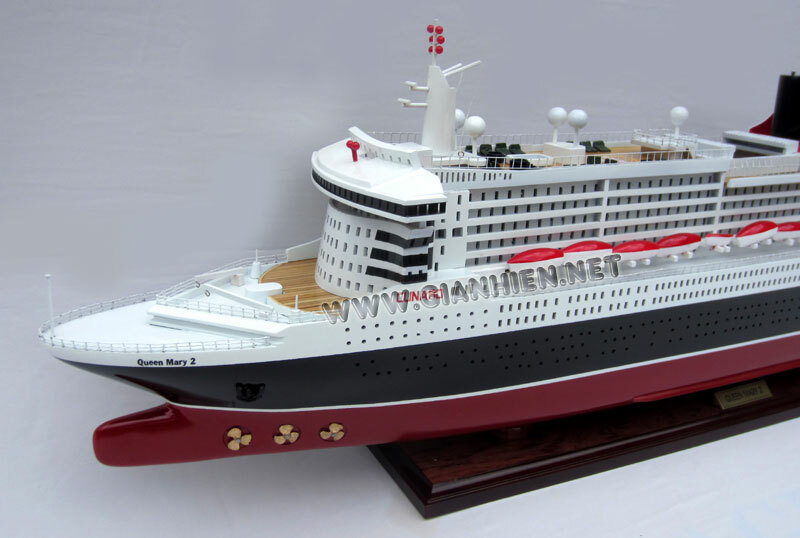 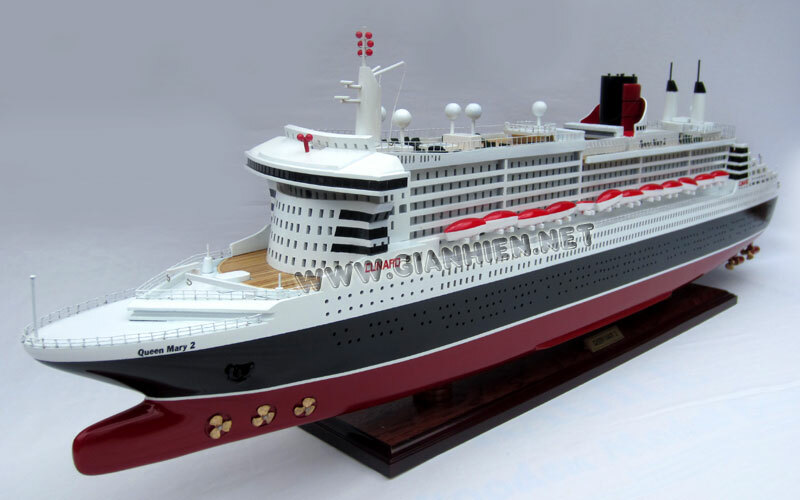 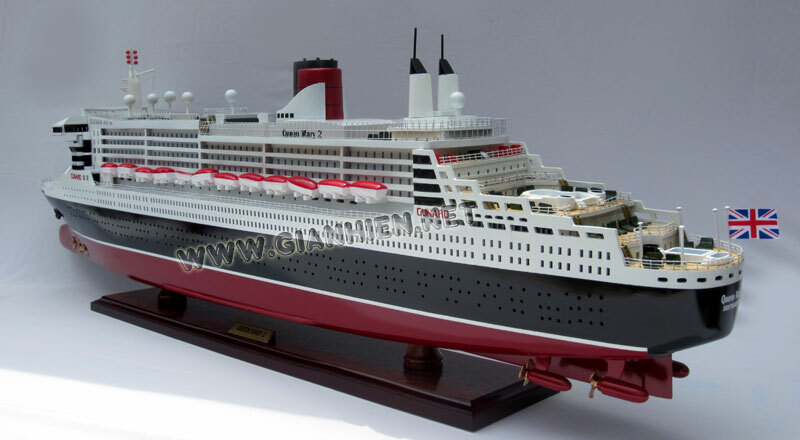 At the time of her construction in 2003, the QM2 was the longest, widest and tallest passenger ship ever built, and at 151,400 gross tons, was also the largest. 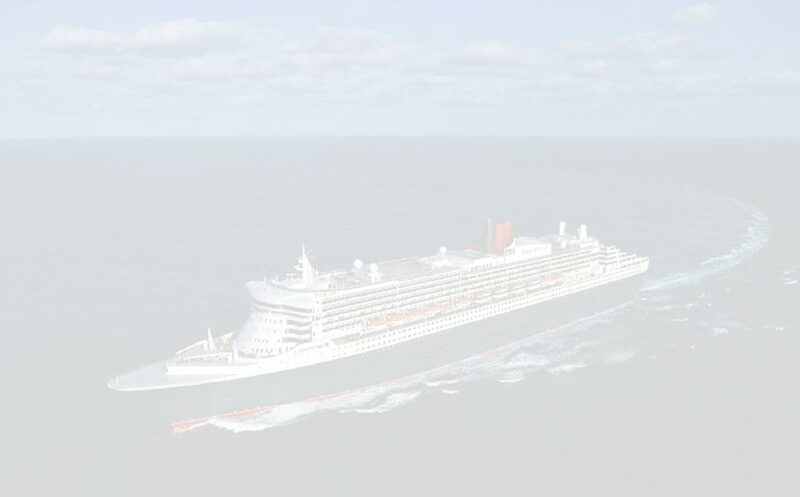 She lost that last distinction to Royal Caribbean International's 158,000 gross ton Freedom of the Seas in April 2006, but QM2 remains the largest ocean liner (as opposed to cruise ship) ever built, and her height, length, and waterline breadth are unsurpassed by any other passenger ship. 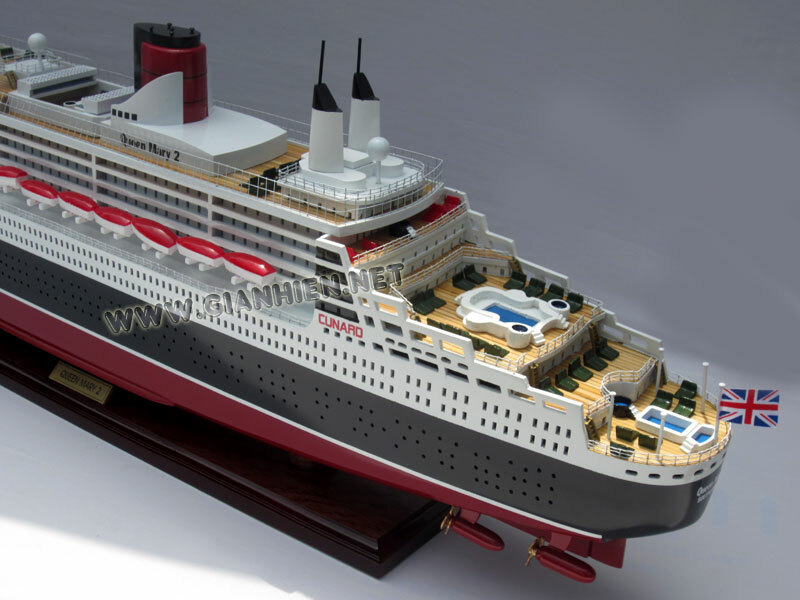 QM2's luxuries include 15 restaurants and bars, five swimming pools, a casino, a ballroom, a theatre, and a planetarium.